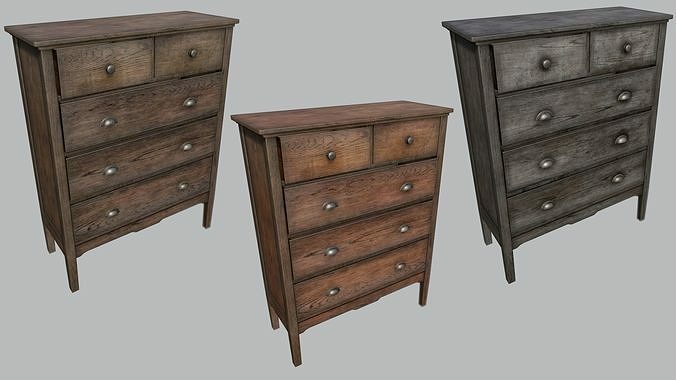 Very Detailed Low Poly Large Old Wooden Dresser with High-Quality PBR Texturing. The Drawers are separated so that they can be opened. Created with 3DSMAX, Zbrush and Substance Painter.